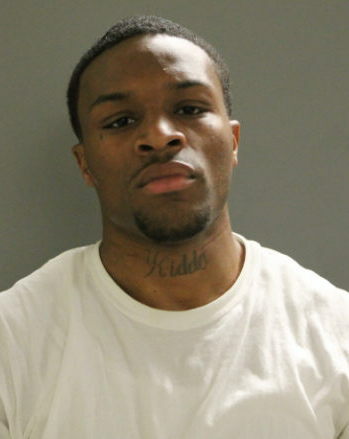 Sharp-eyed cops working patrol in Boystown on Friday arrested a suspect who was wanted in connection with three robberies aboard a Red Line train on March 30, police said. The suspect has a criminal history that includes 112 separate criminal cases in Cook County since 2008. Amarri Bowens, 27, was taken into custody in the 3400 block of North Halsted around 11:30 p.m. and is now charged with two counts of felony robbery-indicating the presence of a firearm and one count of felony robbery, according to court records. Judge Mary Rubio ordered him held without bail. In 2016, Bowens was arrested in Evergreen Park after he pulled a utility knife during an altercation and yelled “I’m tired of m*ther f*ckers thinking I’m playing,” according to court records. At the time he had just ended parole after serving four years for burglary. County court records show she has amassed 112 criminal cases since 2008--and that's not counting the new robbery charges. Previously, 23-year-old Denzel Boykin was taken into custody on Easter Sunday after a relative who works as a Chicago police officer turned him in. Prosecutors say Bowens, Boykin and two suspects who remain at large robbed three separate passengers within 15 minutes on a Red Line train as they traveled northbound from Clybourn to Fullerton around 1 a.m. on March 30. The previously arrested man. Boykin. is also charged with two felony counts of aggravated robbery with a firearm and felony robbery. He is being held without bail. Records show that he was on parole for two previous felonies when he was arrested in the stolen auto case: a 2013 robbery for which he received a three-year sentence and a 2012 conviction for aggravated battery to a school employee in which he was sentenced to five years.